Victor Hedman scored 3:25 into overtime to give Tampa Bay a 4-3 win over the host New York Rangers on Wednesday, stretching the Lightning's winning streak to a franchise-record 10 games. Hedman won it when he beat Rangers goalie Alexandar Georgiev, who had stopped him on a breakaway in the first minute of overtime. Tampa Bay won its third straight game in overtime or a shootout, moved to 8-0-1 in the first half of back-to-back sets and finished 6-for-6 on the penalty kill. Steven Stamkos added two helpers, and Hedman notched an assist. 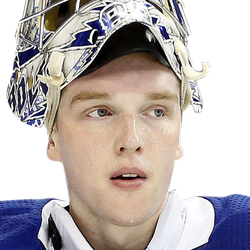 Andrei Vasilevskiy won his eighth straight start by stopping 33 shots. 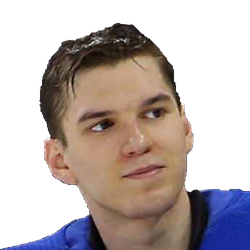 Georgiev made 26 saves for New York. The Lightning used extended zone time in front of Georgiev to score first. Johnson blasted in his 22nd goal from inside the right circle -- his 300th NHL point -- at 7:52 of the first period following Kucherov's pass. Miller scored his 12th goal when Kucherov's shot on the man advantage was deflected in front of Georgiev, and Miller tapped in his third goal in the past four games at 14:57. Kucherov registered assists on both first-period markers. On a rush down the right side in the first minute of the second period, Vesey backhanded a pass to Zibanejad, who backhanded a chip shot for his team-leading 27th goal to make it 2-1. Girardi became the second former Rangers player to score when he one-timed in his fourth goal at 2:53 as the clubs skated four-on-four. Brayden Point recorded his 100th career helper. Vesey outbattled Hedman on a breakaway for his 16th goal to make it 3-2 just 30 seconds later. Nieves scored on a shot that caromed off the post and Vasilevskiy's skate to tie it at 3 at 14:14 of the middle period.